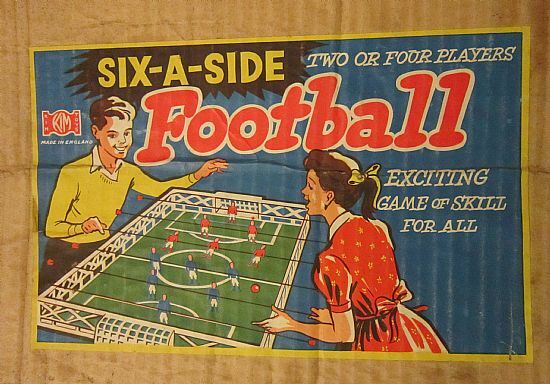 I guess I could have had an entire website devoted to bar football games if I had wanted too. 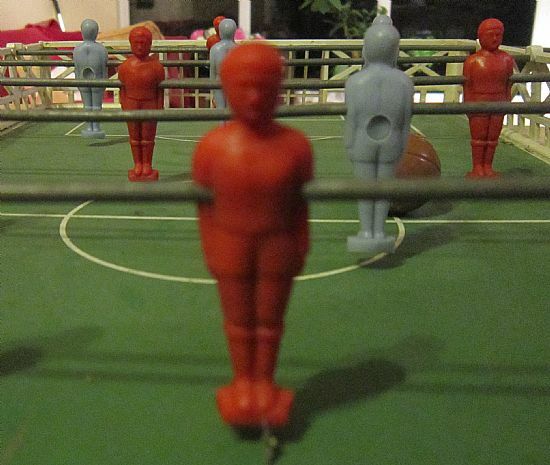 However I am not a big fan of them generally so this old Kim Games version will act as a representative for all bar football or foosball games. Nice colourful design but again the players shown are far better than the actual ones in the game - naughty! 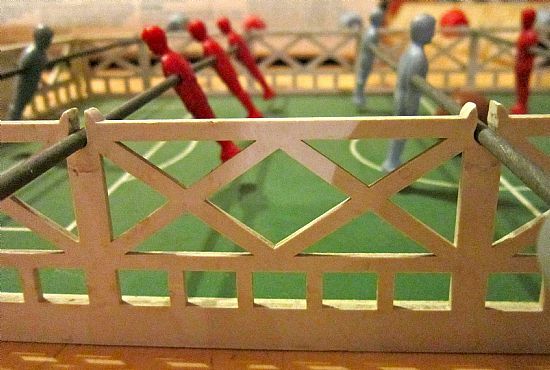 Small plastic and wood pitch. 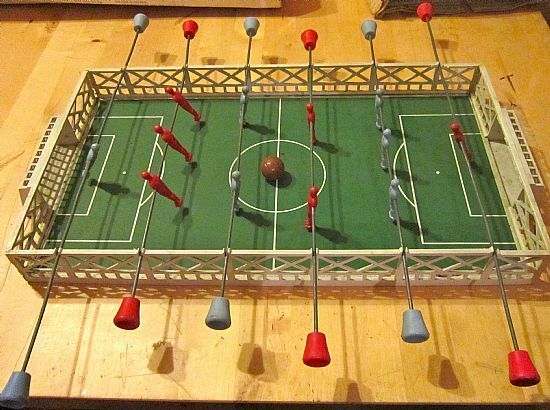 Six a side and you can choose how to layout your formation. The surround is a strange mix of garden fence and hooligan security fence. Very ornate but very strange. 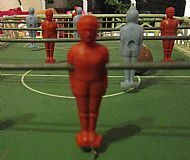 Crudely moulded players - made even cruder by my rubbish photo.